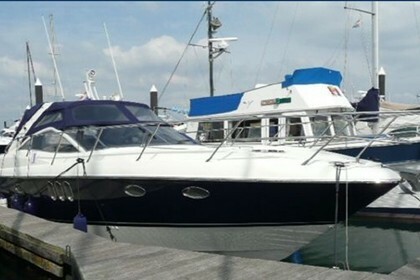 Very well maintained Absolute 41 with only 105 running hours. Dark blue hull, teak in cockpit, sunbed in cockpit and foredeck. Interior in high gloss wood with sand colour leather upholstery and sand colour carpet. 2-Cabin layout with head compartemnt each and seperate shower cabin. Equiped with bowthruster, Raymarine E80 chartplotter/radar, Tridata and Simrad VHF.For complete soecification and pictures please contact our office.